Peel and dice kiwi fruit. Divide strawberries and kiwi fruit between moulds. 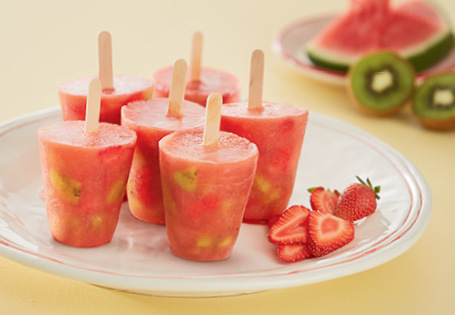 In a blender, blend watermelon and orange juice until no lumps remain. Pour orange and watermelon juice over fruit. Insert paddle pop sticks and freeze until set.